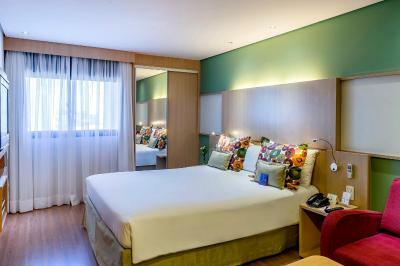 Lock in a great price for Mercure São Paulo Nações Unidas – rated 8.4 by recent guests! Smooth check-in, housekeeping service was good and room was very clean. Requested for iron and it was promptly delivered, had problems with the safe and it was promptly resolved. Had an enjoyable stay. The staff friendly and willingness to assist. The reception staff was absolutely wonderful! Da comodidade, do conforto, do atendimento, da localização. Muy confortable la habitación, excelente la atención y la comida. El servicio a cuarto, muy recomendable. 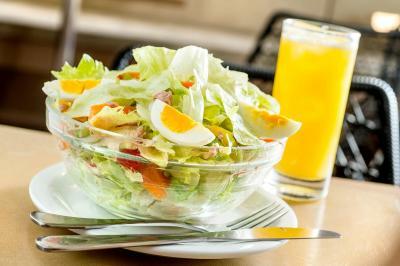 A hospedagem foi tranquila, mas tivemos problemas em pedir comida no quarto. Sugiro que sejam divulgadas os horários de funcionamento da cozinha. Ótima recepção, quarto bonito e muito limpo, café da manhã delicioso, a localização é ótima. Voltarei outras vezes. Acomodações do quarto eram boas. Seguração do Hotel é boa, seja no tocante aos equipamentos, bem como em relação ao pessoal de segurança, que se mostravam sempre zelosos em suas funções. 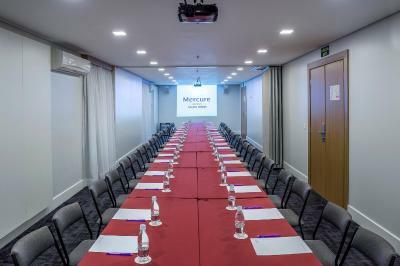 Mercure São Paulo Nações Unidas This rating is a reflection of how the property compares to the industry standard when it comes to price, facilities and services available. It's based on a self-evaluation by the property. Use this rating to help choose your stay! 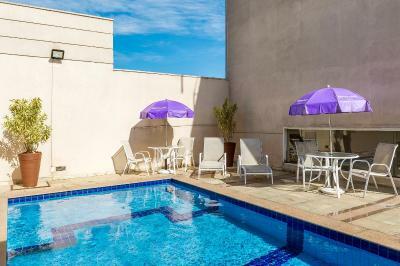 This São Paulo hotel features an outdoor pool, and is located near the Marginal Pinheiros Freeway providing easy access to the new business and entertainment areas. 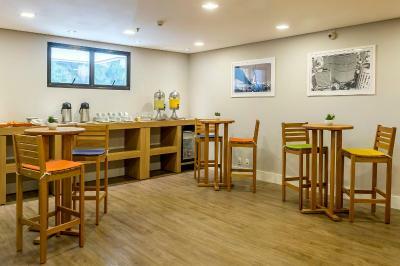 The Mercure Apartments São Paulo Nações Unidas offers comprehensively equipped rooms with modern amenities, as well as hot-drink making facilities. 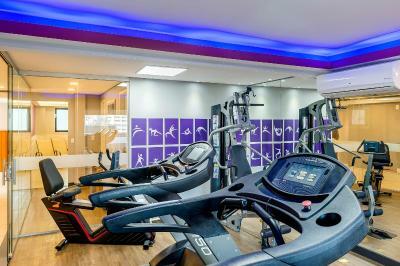 A sauna and a fitness center are available to guests throughout their stay. 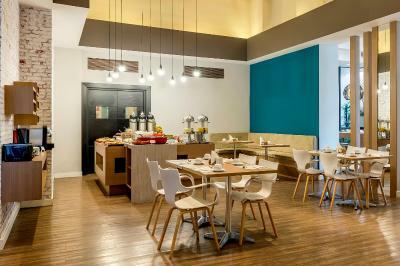 In the evening, visit the Mercure's restaurant for a delicious dinner. After dinner, finish your day with a drink in the bar, or sit back in the comfortable lounge. 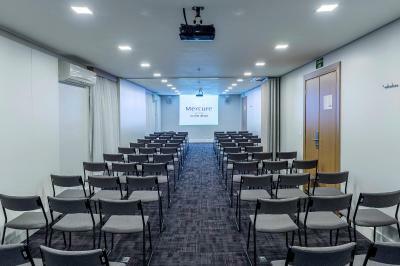 The hotel lies 7.5 mi from Congonhas Airport and 1.2 mi from the Alpha Theater and Citibank Hall. The American Consulate is 1.2 mi away. 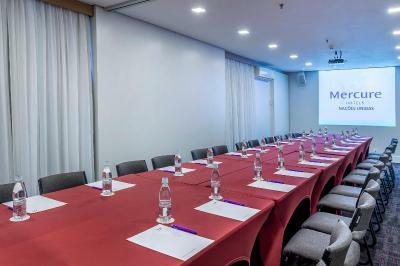 When would you like to stay at Mercure São Paulo Nações Unidas? 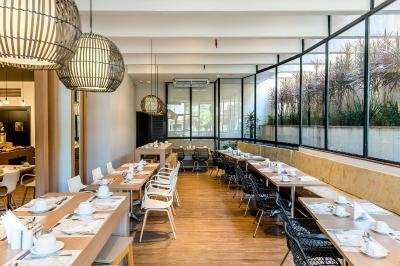 This modern, air-conditioned room has a small kitchen with a microwave and stove, Wi-Fi and cable TV. 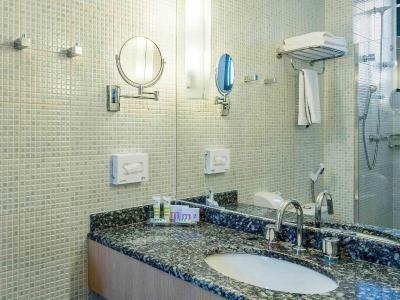 The private bathroom comes equipped with a shower and hairdryer. This twin room features a mini-bar, satellite TV and air conditioning. House Rules Mercure São Paulo Nações Unidas takes special requests – add in the next step! Mercure São Paulo Nações Unidas accepts these cards and reserves the right to temporarily hold an amount prior to arrival. You can hear people outside the room when they are taking the elevator. 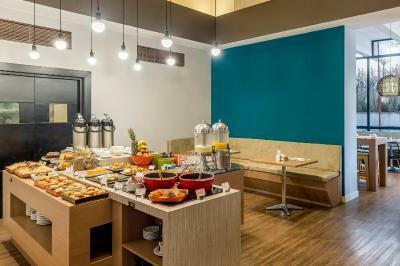 Nice breakfast, great staff and clean bedrooms. Very limited English from restaurant staff. Although it was clear they they really wanted to assist, we could not commicste at all, other than pointing out of the menu. Bathroom facility could be better, was rather small with rust and mould on handles.